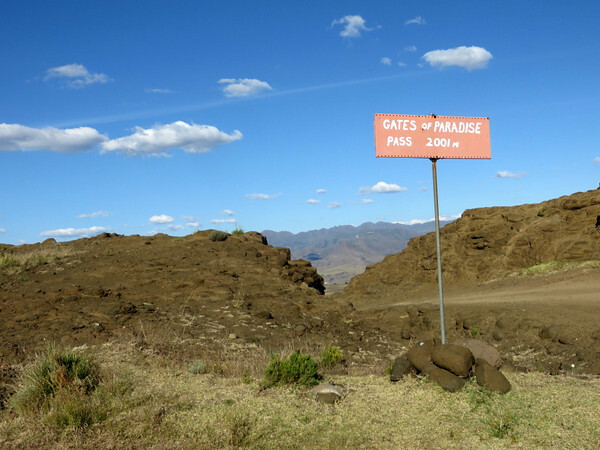 I have been writing a lot of food-centric posts lately so I wanted to switch gears a bit and tell you about our trip to the Kingdom of Lesotho back over the Easter holidays (yes I am a bit behind on my blogging!). 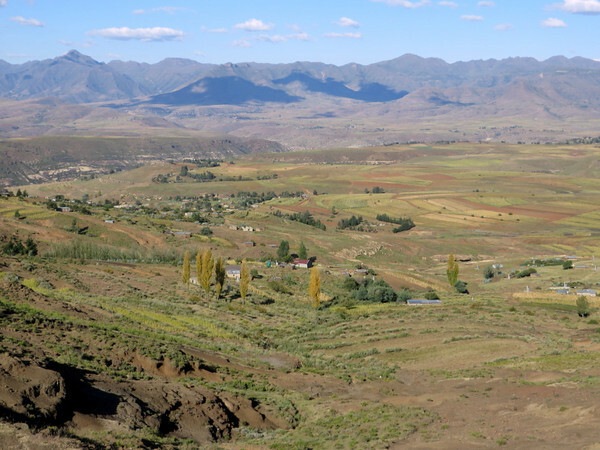 Lesotho is a small independant country completely surrounded by South Africa. It is commonly referred to as the Kingdom in the Sky as its lowest point is 1400m and it is the only country that is entirely over 1000m. 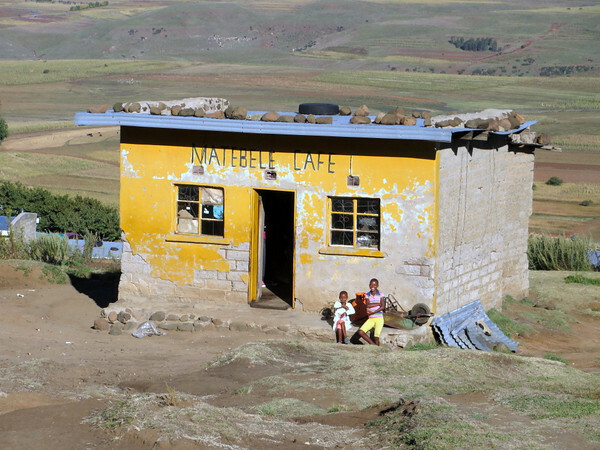 Ever since moving to South Africa, I have heard over and over how we must visit Lesotho. It is so often praised for the sheer beauty of her land and the genuine warmth of her people that I knew I wanted to visit as soon as possible. With a long 4 day weekend for Easter, we thought this would be the perfect opportunity for a quick first visit. 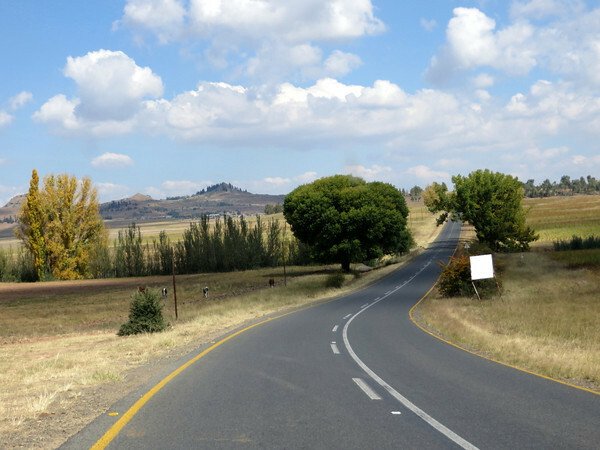 Even though Lesotho is a fairly small country, you could probably spend at least a couple of weeks in different areas and never get bored. 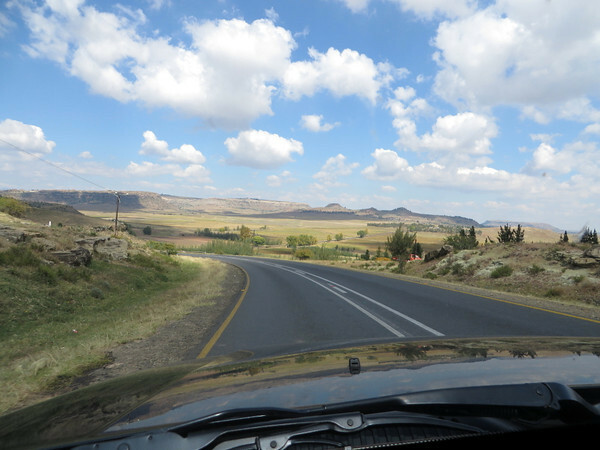 With only 4 days, 2 of which would be devoted to getting to Lesotho and back, we knew we had to choose our destination wisely. When I first read fellow blogger 2summers post Malealea: A Vacation for Fun People, I knew it would be just our kind of place. 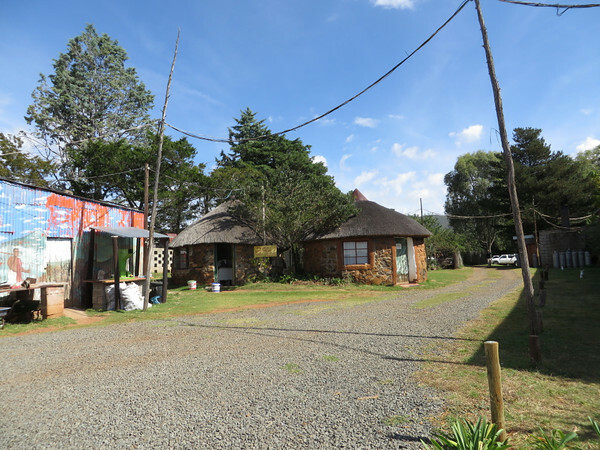 Malealea Lodge is about 500 km from Johannesburg. We left around 7am on Good Friday and it took us almost 9 hours to reach the lodge (with only one 30 minute or so break). 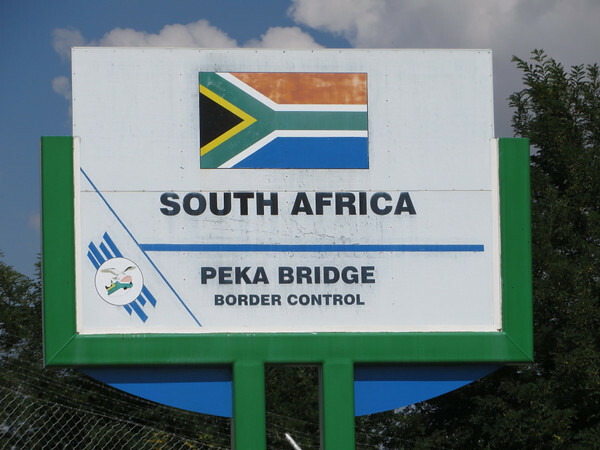 The lodge had advised us to avoid the main border crossing at the capital Maseru and go instead via Kroonstad, Ventersburg, Senekal, Marquard, Clocolan, enter Lesotho at Peka Bridge, Teyateyaneng, Maseru, Motsekuoa, Malealea. This was a good plan as the roads were all fine on this route and there was no wait at the border. If you do choose this crossing, please note it is only open from 8am-4pm. On the return we shaved off a bit of time by going from Marquard to Ventersburg via Winburg instead of Senekal and that part was a bit faster. The last 16 km before the border crossing is a gravel road, so it was a bit slow going here. Arriving at the South African side you need to park the car and go to the office and get your passport stamped. 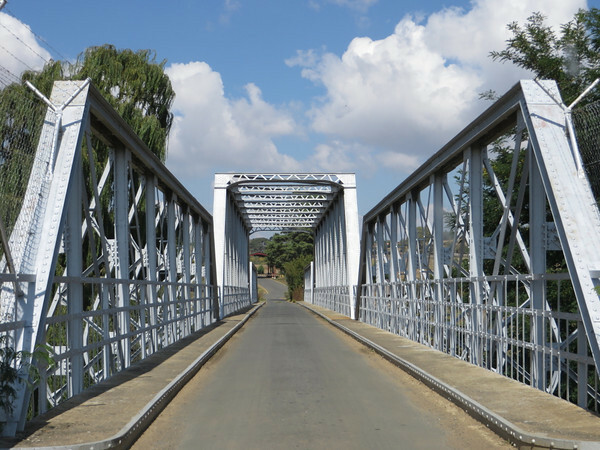 You will then get back in the car and drive over the bridge to the Lesotho side. You will again leave the car and go fill out an immigration form and get your passport stamped. Back to the car, but wait we aren’t finished yet ! You now must go pull the car forward a bit more and pay a small fee at a different window for the car (I think it was something like 30 or 40 ZAR). Now you may cross. Just an FYI I did ask permission about taking photos at the crossing as this is generally a big no no. 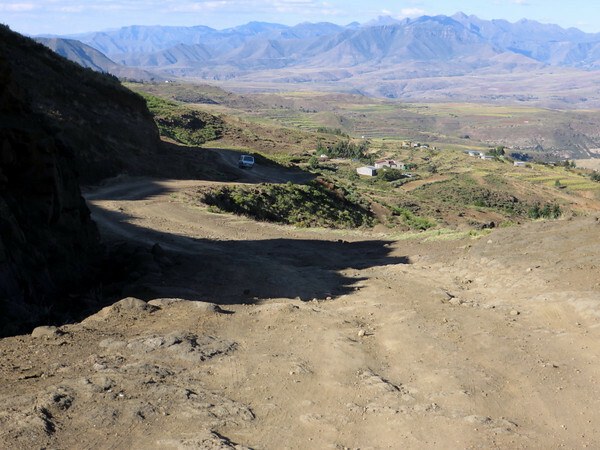 There was no problem with this on the SA side but on the Lesotho side they would only allow me to take photos looking back towards SA. Crossing into Lesotho we were totally surprised by the condition of the highway here. Nicely paved and devoid of potholes, driving here was a true pleasure. 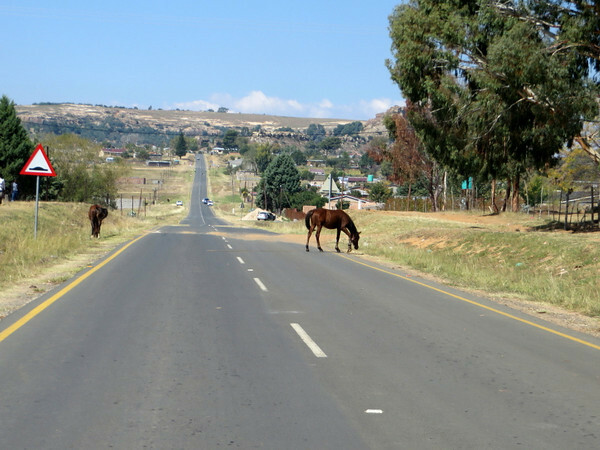 Coming across people and animals in the road is common here as it is in South Africa so please keep alert. 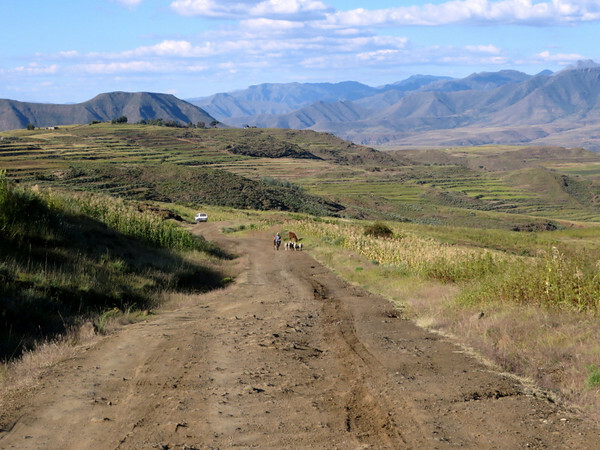 One more thing to know about driving in Lesotho is that routine road blocks are quite common. We were stopped a couple times each way but a couple we met were stopped about 9 times over a couple days. When you see the roadblock, you must stop at the stop sign and wait to be motioned forward. From what I have read, not complying with this formality will likely result in an unfriendly encounter with the officers so remember, stop and wait. Each time we were just asked for a driver’s license and an international permit was accepted without any issues. 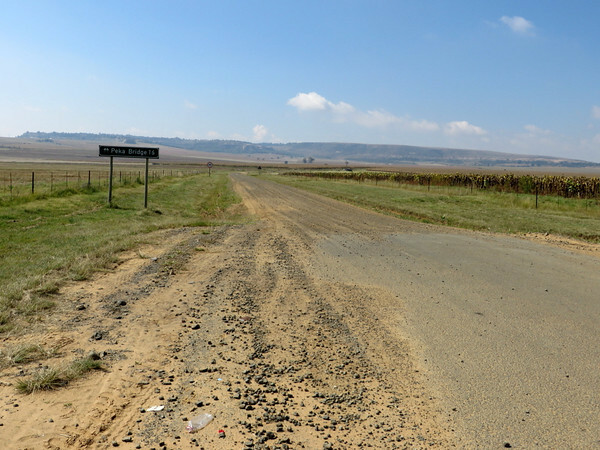 The last 7km to reach Malealea is on a gravel road. While a 4×4 isn’t an absolute, we were really glad to have our Jeep. You will need to go very slowly here if you are in a regular sedan but you will make it (though there were a couple of hairy sections that really made us wonder). 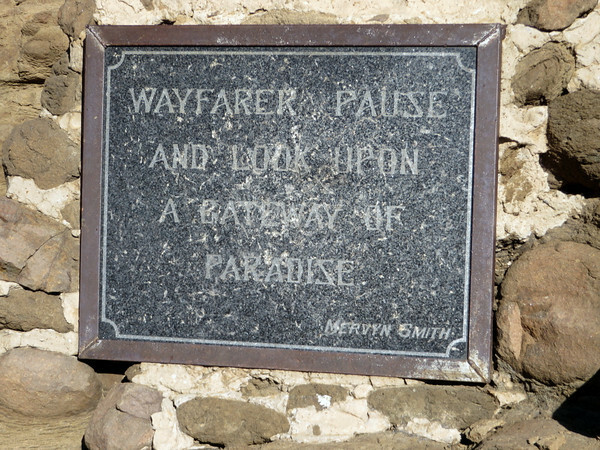 The Gates of Paradise (6 km before Malealea) stands at 2001m and offers a breathtaking view of the valley below. After a long but scenic day of driving we were quite happy to arrive at Malealea. We were warmly welcomed by the manager and directed to the camping area where we had to move fast to get the tent up before nightfall. Luckily the ground was much softer than at Kruger park and we easily got it up in just over an hour, a new record. I could go on and on and sing the praises of Malealea but as this is already way too long, I will have to do it in my next post. 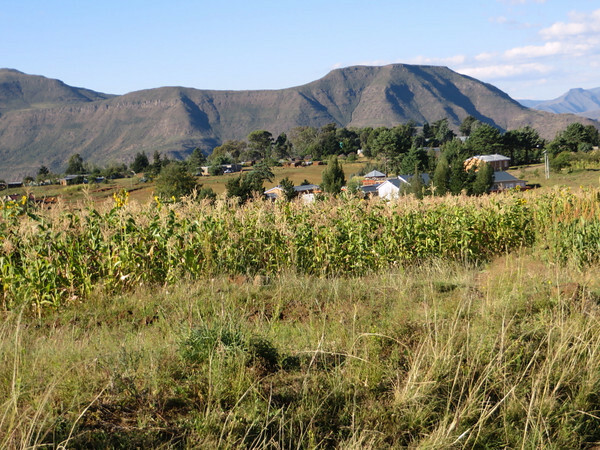 Stay tuned for more beauty in Lesotho soon. This entry was posted in Camping, Hiking, History & Culture, Lesotho, Sports and tagged Camping, Lesotho, Malealea by UnderAnAfricanSun. Bookmark the permalink. Thanks Heather. There wasn’t mud at the time but big grooves in the road from the previous rain. There were 3 guys in a small car that left Gates of Paradise a bit before us, we passed them and they got in almost an hour after us. It sounds like your police encounter is a story waiting to be told !